Jim Pilcher has never played an instrument. “I’m probably tone deaf,” he says. “I just love music and I love what goes on behind the scenes.” In the 1960s Pilcher played a part behind the scenes in the careers of some of the country’s top musicians. Jim grew up in the suburb of Taita, Lower Hutt, in a family of 10. 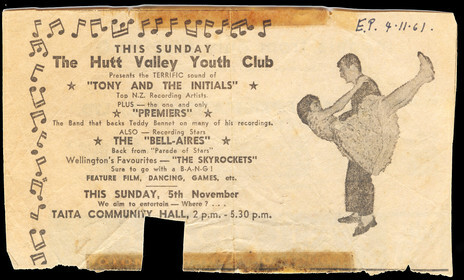 Down the road was the Taita Community Hall, where the Hutt Valley Youth Club had been convening on Sunday afternoons since the mid-1950s. The sign outside read “No Jeans”. 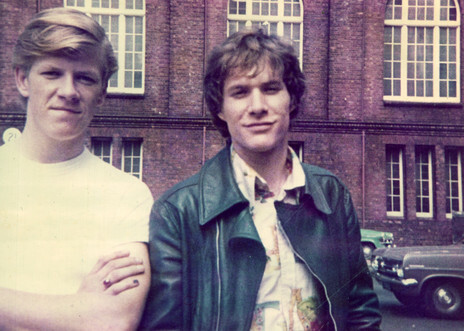 Not yet in his teens, Pilcher would stand tiptoe on an apple box outside the hall to peer in the windows, fascinated by the electrified sound of the rock’n’roll bands and the sight of hundreds of teenagers, dancing and mingling. Once he was at Taita College he became a member of the Youth Club, and got to hear the bands up close. At first it was mainly Shadows-style instrumental combos like The Falcons with their star guitarist Blake Thompson, or The Imperial Twisters, whose drummer had lights inside his bass drum, which flashed whenever he kicked it. 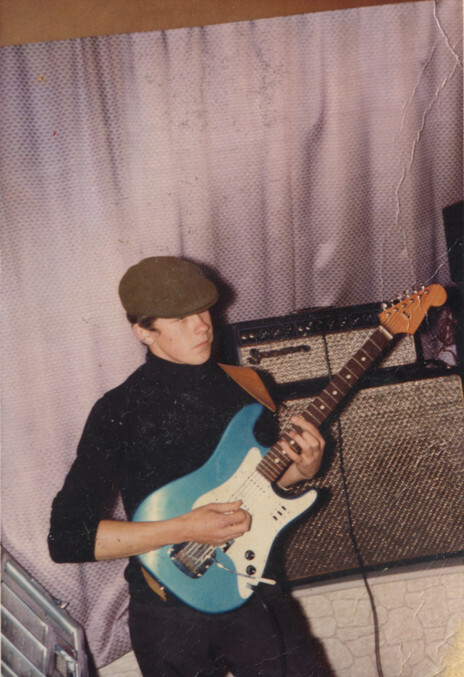 Halfway through 1963 Jim turned 15 and left school, first to work at Hill’s Hats on Lambton Quay, then closer to home at the Griffin’s biscuit factory in Gracefield. His involvement in the Taita club continued to grow. He became an elected member of the committee. Soon he was in charge of booking the entertainment. On account of his height and build, Jim was called on to act as bouncer at the club. 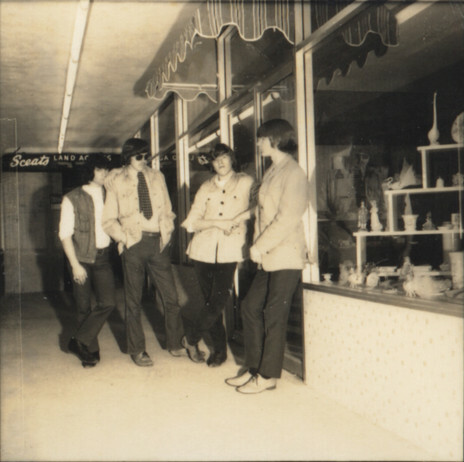 Around that time a new breed of band started to appear, inspired by The Beatles and the British beat boom. 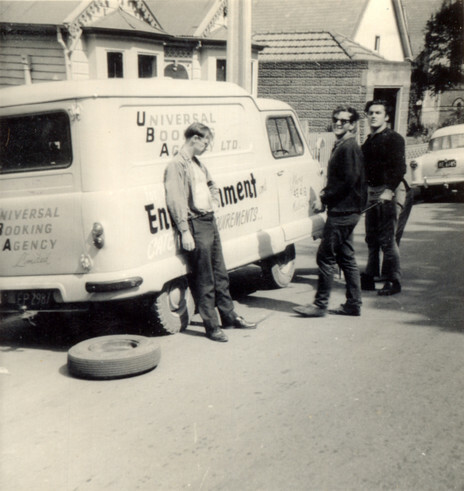 Jim would select bands from the rosters of the two Wellington-based agencies, Tom McDonald’s Universal Booking Agency and Ken Cooper Ltd. An afternoon dance would typically feature two groups: a well-known headliner, sometimes from out of town, and a lesser-known band to pad out the show. He recalls the main bands costing the club between £8 and £15 per performance. 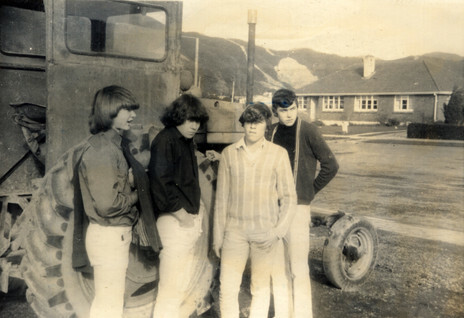 In those days Bari and the Breakaways – originally from Taranaki but now based in Wellington with an HMV recording contract – commanded the highest fees. At the lower end of the scale were groups like The In-Sect, a school band from Heretaunga College in Upper Hutt. On account of his height and build, Jim was called on to act as bouncer at the club, though by his own admission he was no use if there was ever a fight. “Big as I was I was too gentle, never a scrapper. “There was always rivalry though, between the Naenae boys and the Taita boys. It goes back to rugby days, on the field. And there was always an element in each area that could be pretty stroppy when things went wrong. There were a few knuckle-ups. Occasionally the club would hold a jamboree with 10 bands. On these occasions they would use both the Lower Hutt Town Hall and the adjacent Horticultural Hall, with the crowds moving between the venues. 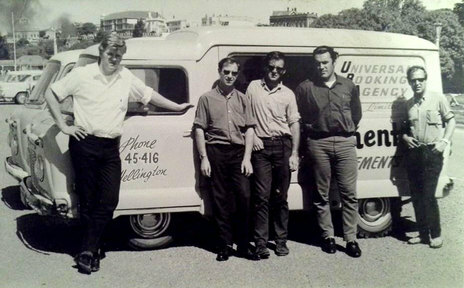 In 1966 Tom McDonald offered Jim a job with his Universal Booking Agency. 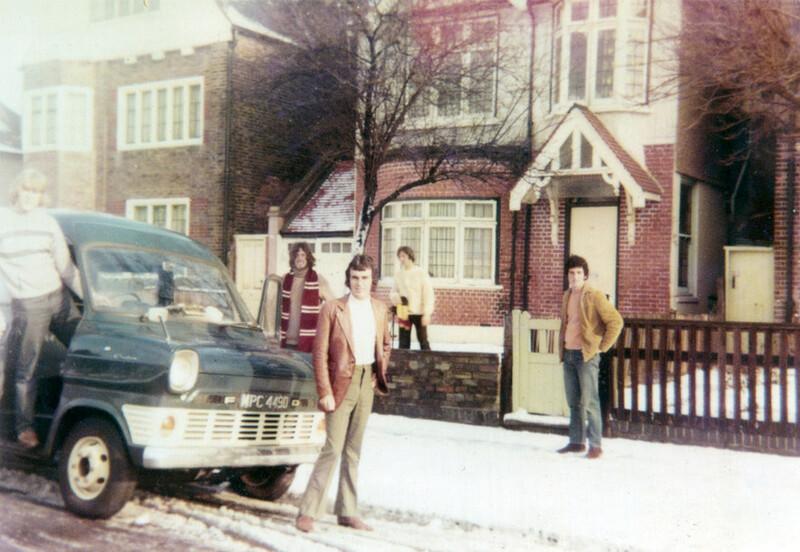 “One of my jobs there was to look after the vans. Tom had a fleet of vans he used to hire out to the bands. There was always a quid in it for Tom somewhere along the way. He would hire out the band and charge the band to carry their gear around and I would drive them round. 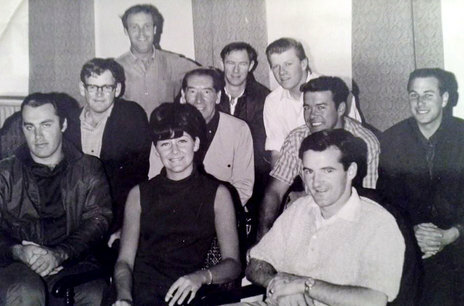 Jim’s earnings helped pay for the recording of three songs at HMV’s Wellington studios, under the supervision of engineer Frank Douglas. “But I wasn’t really a good manager. We didn’t have anyone here good enough to take a band overseas. We didn’t have any Brian Epsteins. I think if anyone had had the brains at that time, especially with the Roadrunners and probably even the Breakaways, to have a go at the UK market. At that time, when you had the Pretty Things and The Kinks and The Small Faces: I honestly believe the Roadrunners with Chaz’s guitar playing and Glyn’s voice would have been up there with them.” As it was, no records of the Roadrunners were released during their three-year existence, though two of the HMV recordings (‘Get Out My Life Woman’ and ‘L.S.D.’) eventually emerged on the 1992 garage rock compilations on Jayrem, Out From The Cold and Get The Picture. 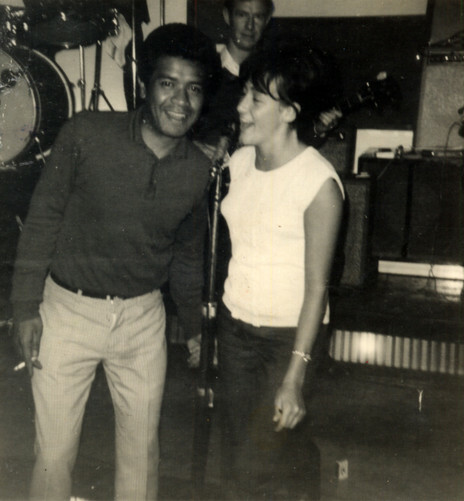 In 1966 McDonald sent Pilcher on a national tour with a package headlined by Waikato-born chart-topper Maria Dallas. She had just won the Loxene Golden Disc award with the country-pop earworm ‘Tumblin’ Down’. 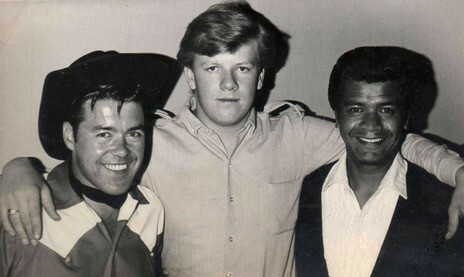 Also on the tour was the hit song’s author Jay Epae, as well as country singer Ken Lemon, Southland yodeller Max McCauley, south seas crooner George Tumahai, and the group Tony and the Initials. The tour opened in the Lower Hutt Town Hall. After a night in Levin “to iron out any bad points” they hit the South Island. In Blenheim, the show was recorded by Ron Dalton of Viking Records for a live double album. Jim also took a keen interest in bands visiting from overseas. When The Beatles and Rolling Stones toured, he was in line early for a ticket. 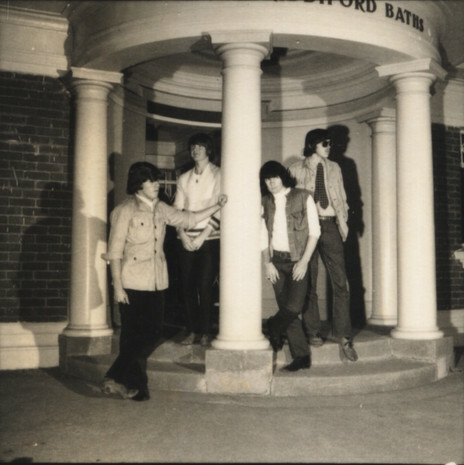 As well as being a fan of the music, he was curious about the equipment they brought with them, which was bigger and louder than the locally made gear New Zealand bands had to make do with. In some cases, overseas bands would sell their gear here before leaving. 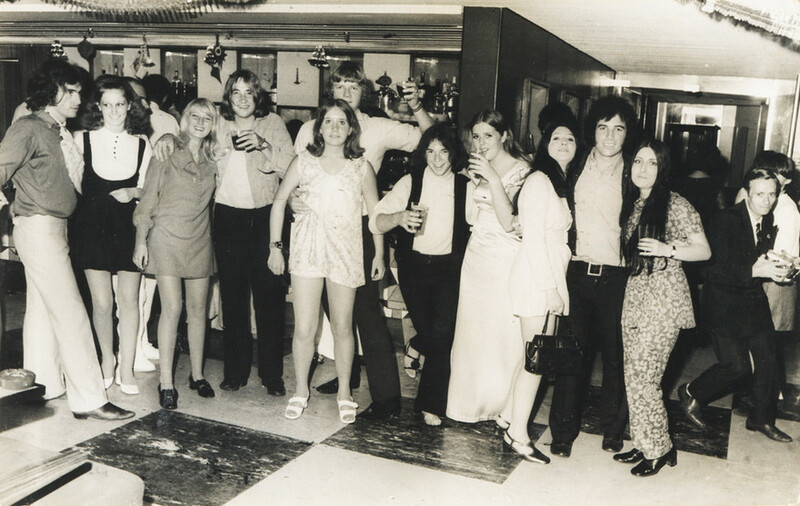 When The Who and Small Faces arrived in January 1968, Jim and a small group of friends were at Wellington airport to welcome them. “We then found out they were staying at the Hotel Waterloo, so went down and were there when they arrived. We took photos out on the street of them hooning around. They went over to the wharves because they heard there was an English ship there and Keith Moon wanted to get some fish and chips. Security was pretty slack in those days. We’d gone up to their rooms and knocked on the door and they’d come out and greeted us. 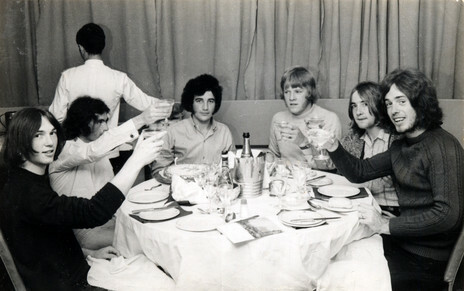 The In-Sect had been one of the younger bands Jim had booked at the Youth Club. 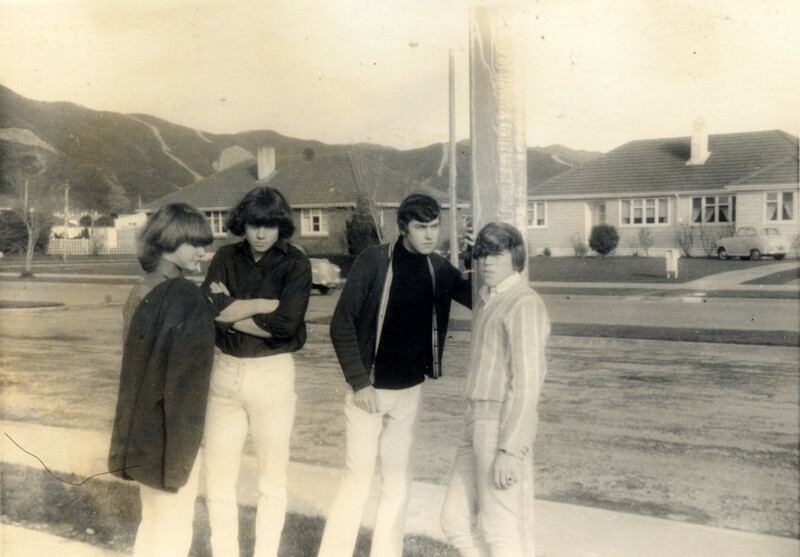 By the end of 1967 they had left school, changed their name to The Fourmyula and turned professional. 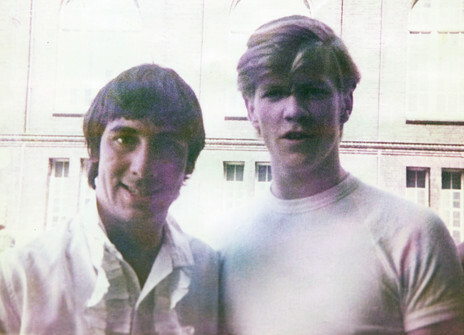 In 1968 their first single ‘Come With Me’, a gentle psychedelic pop song by the group’s in-house songwriting team of Wayne Mason and Ali Richardson, became the rare local original to make the national charts. 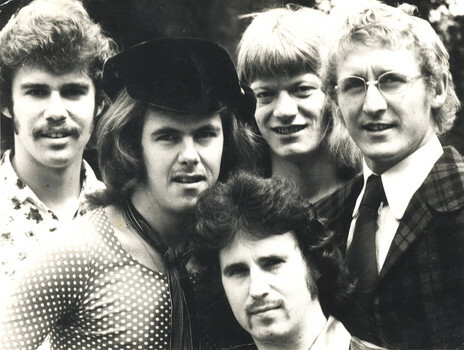 The Fourmyula had also won the Battle Of The Sounds competition, with the prize of a passage to Britain, and left in early 1969, playing their way on the cruise liner Fairsky. 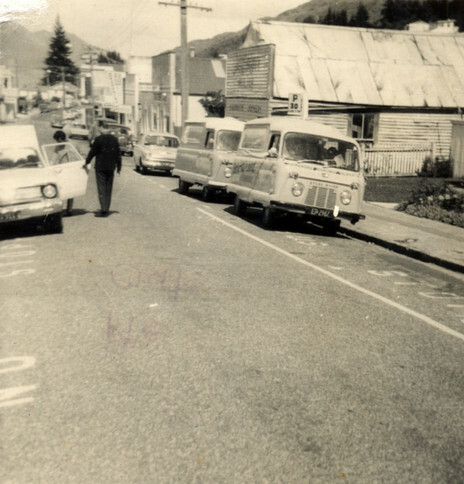 Jim was at the Lower Hutt Town Hall to witness The Fourmyula’s dramatic return. 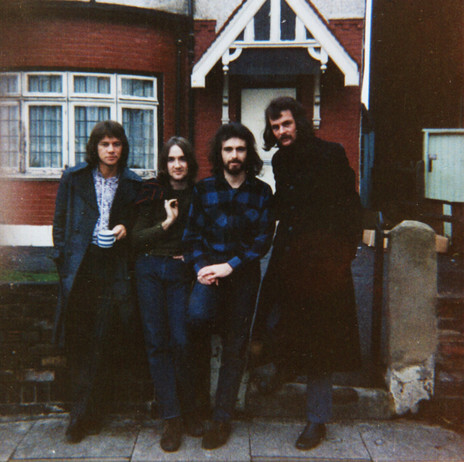 Six months in Britain didn’t do much to advance their careers, though it did see them recording at Abbey Road, with the Beatles in the next room, and gave them an introduction to the new heavier rock sounds germinating in Britain. 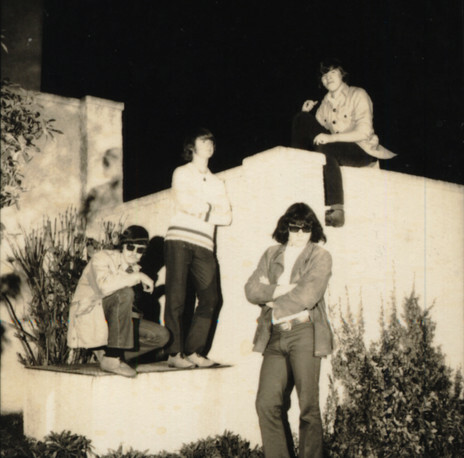 When they returned to New Zealand in late 1969 they brought with them a shiny set of Marshall amplification equipment. He recalls the crowd recoiling en masse, shocked by the unexpected volume of this changed band. At the end of the night as the hall emptied out, Jim offered to help the band pack up their gear. They were impressed when they saw him singlehandedly lift Wayne Mason’s Leslie speaker cabinet and carry it outside to their trailer. They promptly offered him a job as their roadie. 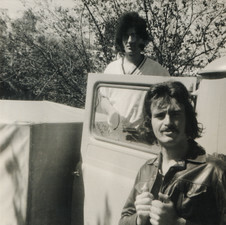 Ali Richardson, Carl Evensen, and Chris Parry of The Fourmyula, in Kaikoura, Spring 1969. The Fourmyula were planning one more lap of New Zealand before heading back to Britain at the end of the year and Jim was invited to go with them. For their valedictory tour, the band paid Pilcher and themselves eighteen dollars a week each, the remainder going into savings for the trip. 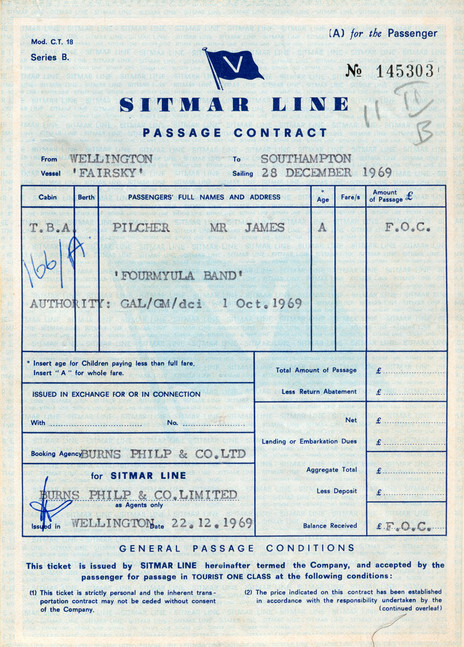 Jim Pilcher's ticket to sail on the Fairsky with The Fourmyula from Wellington to Southampton, UK. The ticket is FOC - free of charge - but the band had to perform every day during the voyage. 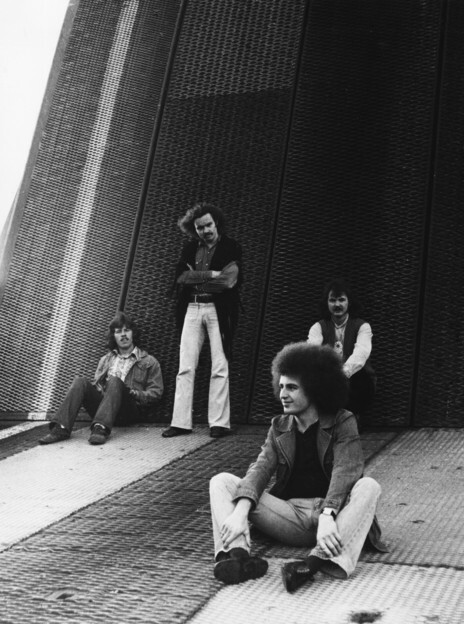 No sooner had The Fourmyula completed their album for Decca, the label had a purge and the group were dropped from its roster. The record would languish in the vaults for decades. They continued to tour Europe for a while. “They were big in Scandinavia. They played at a club in Copenhagen called The Revolution and that was an eye-opener for a young guy from Taita. They had a secret club at the back of the stage called the Key Club – the members had to have a key to get into it – and we could go there and there were all sorts of things going on. The Danes are pretty naughty at times.” Back in New Zealand, the youth clubs and other venues Jim had worked in hadn’t even been licensed to sell alcohol. Still the band struggled. Jim worked a series of factory jobs to help pay their London rent. Then he received a letter from the Home Office informing him that his visa had run out. With 12 days to leave the country he had to borrow money for his fare home. 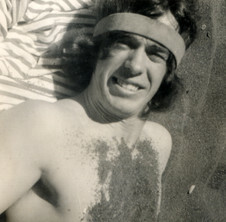 He returned to New Zealand in July 1971, and to the Griffin’s factory where he would work for the next two decades. Jim’s interest in music didn’t die. 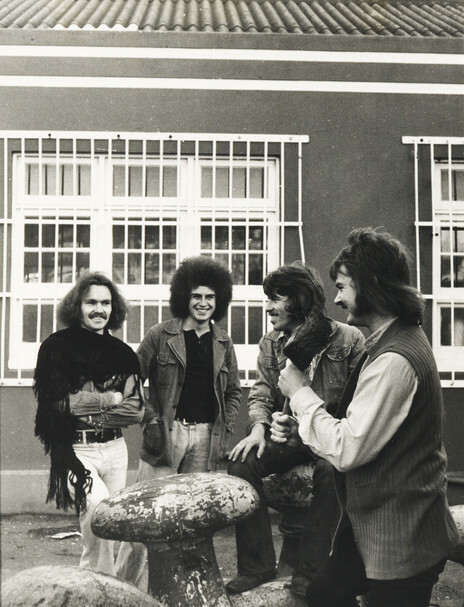 In 1973, Rockinghorse formed in Wellington from the remnants of the Fourmyula. For a while Jim drove their van. A couple of years later he performed a similar role for Gumboot, a short-lived outfit which included ex-Roadrunner Chaz Burke-Kennedy. But by this time Jim was married with two children, working full-time to support them. Music would be for the stereo and the scrapbook. 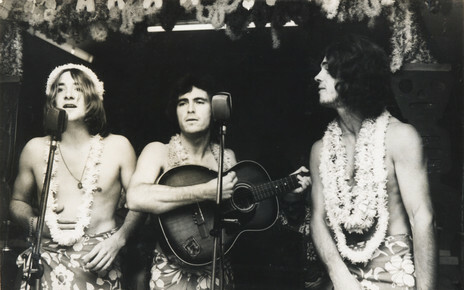 Chaz Burke-Kennedy, Noel Koskela and Tim O'Connor of the Roadrunners, at the Intermezzo coffee lounge, Wellington, January 1966.